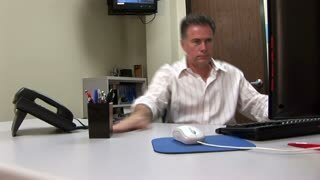 Search Results for "bored office worker"
Ungraded: A bored fat office worker twirling a pen between his fingers. A dolly shot of a diverse group of bored employees and young professionals working at a table together in an office while people are checking their cell phones and banging their head on the desk during a boring corporate meeting that never ends. Bored female worker throws confetti while sitting in an office chair. Lazy young woman, office worker wearing headphones, playing mobile games with smartphone during work hours. Bored employee. Useless and unproductive worker doing nothing and forget her job. Bored businessman playing with stapler instead of doing his work in creative office.